For one hundred years, the Winged Liberty 'Mercury' dime has been celebrated as one of the most beautiful coins in U.S. history. 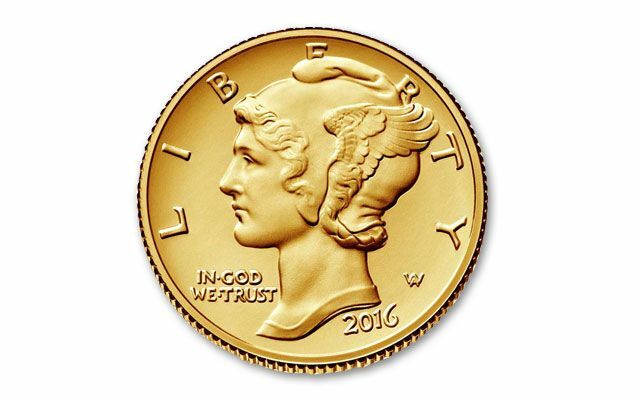 Now, to celebrate the 100th anniversary of this numismatic masterpiece, the U.S. Mint has struck the Mercury dime again at the West Point Mint, not in the 90% silver of the original, but in one-tenth ounce of 24 karat 99.99% pure Gold! 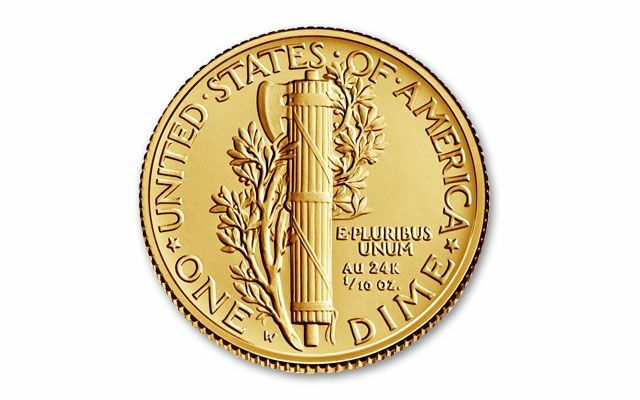 One of the most classic coin designs ever created for a circulating U.S. coin, the Winged Liberty (or Mercury) dime was originally struck from 1916-1945. 2016 honors the 100th anniversary of the release of this artistic masterpiece. 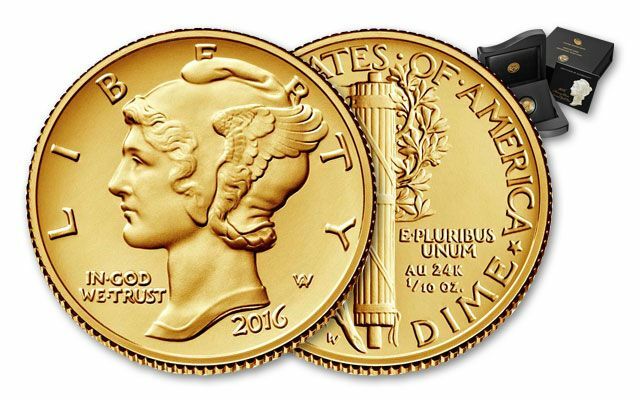 As a tribute to this beautiful coin, the U.S. Mint is unveiling a limited edition "Mercury Dime" struck in gold. The mintage is ONLY 125,000 pieces. 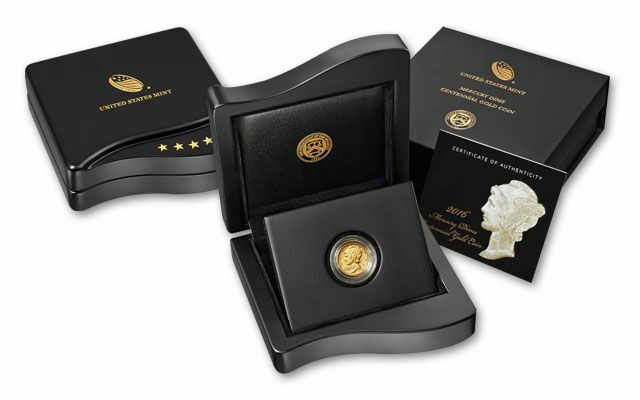 Collectors crave quality and we have coins available encapsulated and housed in its original government packaging. Don't miss this incredible opportunity. Our small supply will disappear fast. Call now!